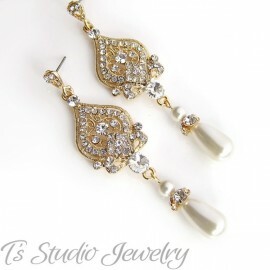 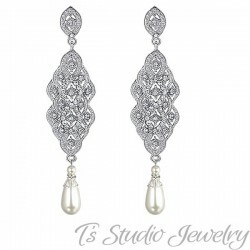 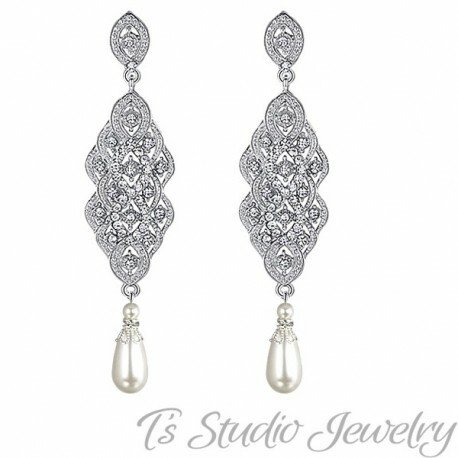 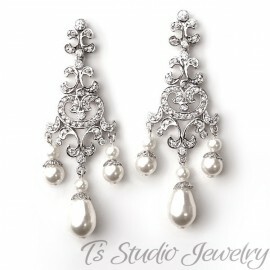 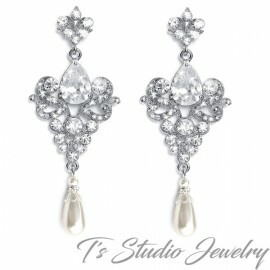 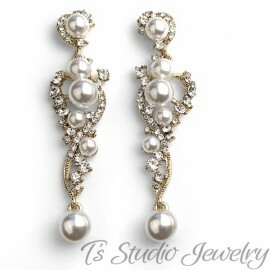 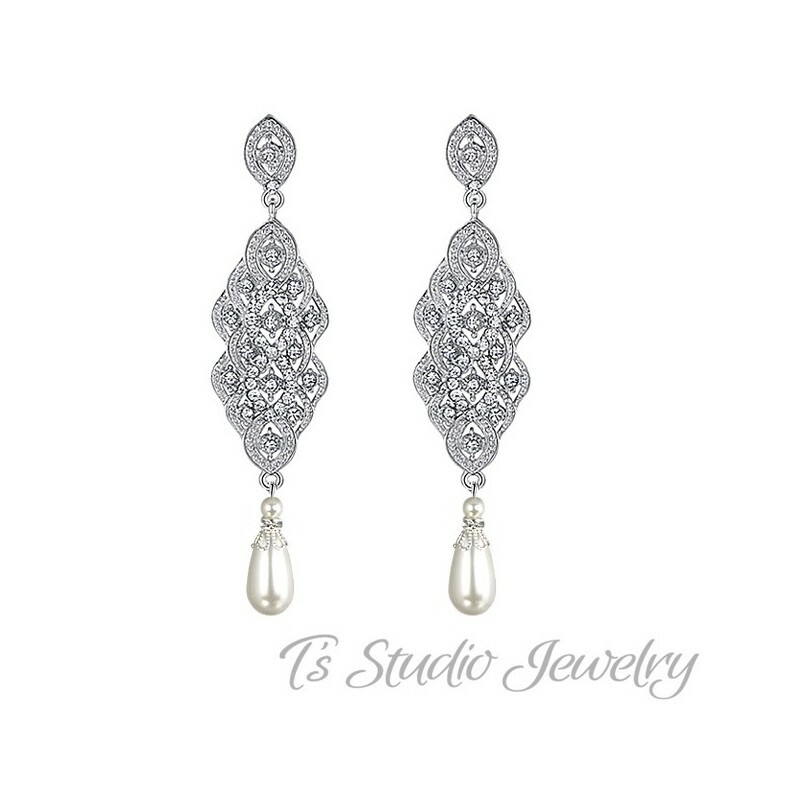 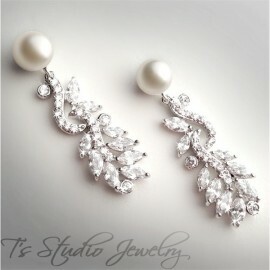 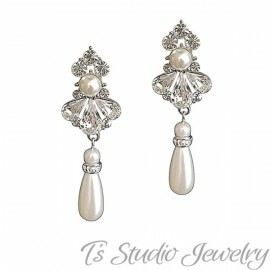 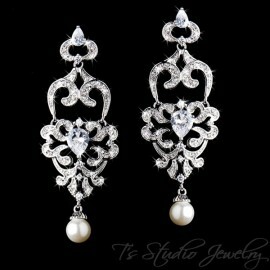 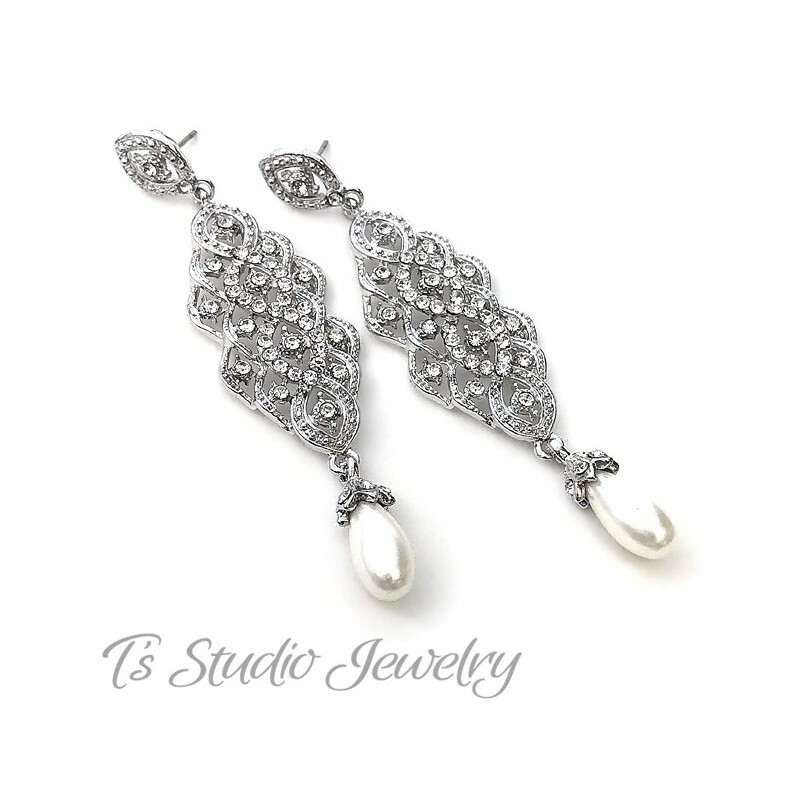 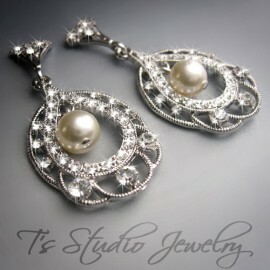 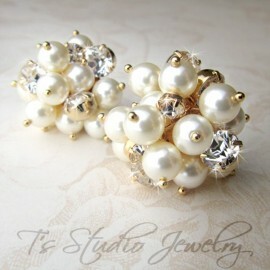 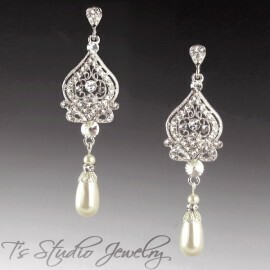 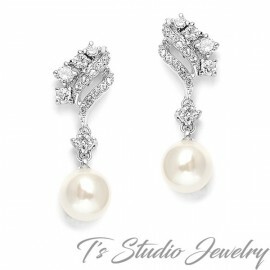 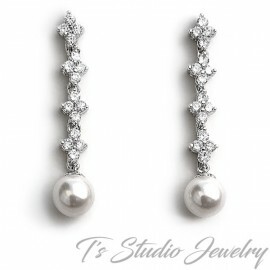 These beautiful bridal earrings feature pave crystals and Swarovski teardrop pearls. 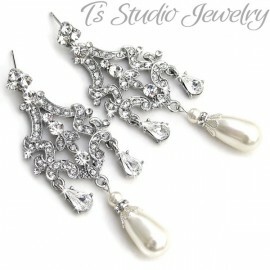 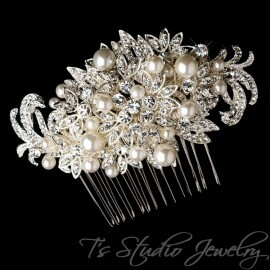 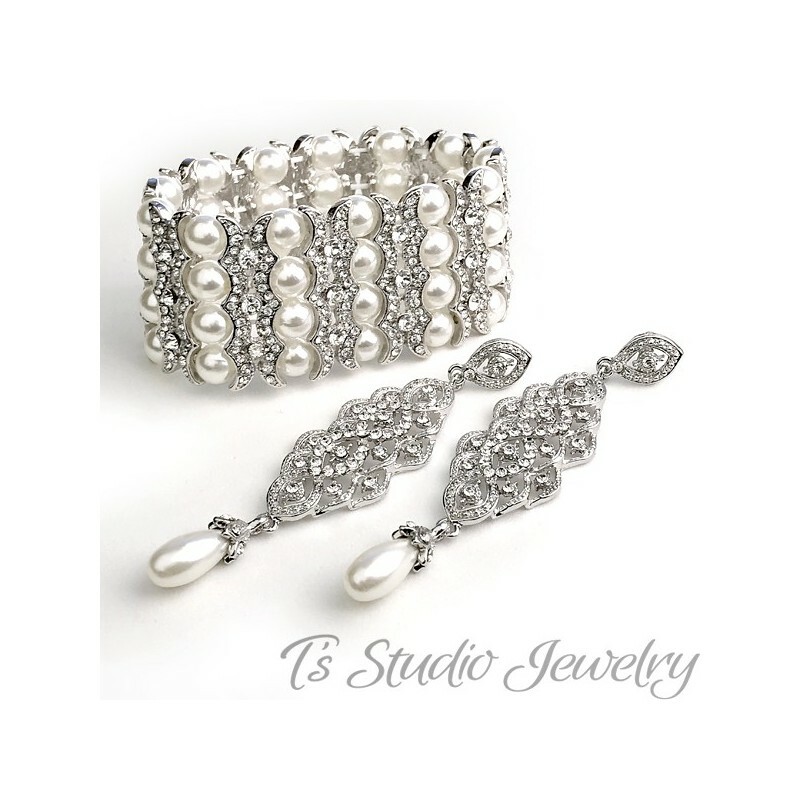 They will make the perfect accessory for your wedding or special occasion. 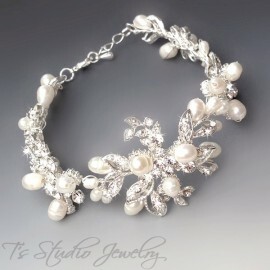 Matching bracelet sold separately. 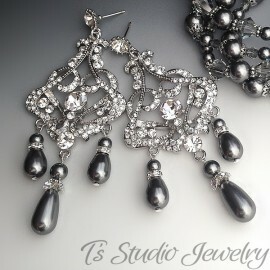 Also sold as a set with the matching bracelet.